Here are some of the April Fools pranks I’ve come across on the web today. Feel free to share any I missed in the comments. Google Nose – Google Streetview Cars collected tons of scent samples as they drove around the world. Now, that data can be used to power a scent-based search. It even works on mobile. For example, try searching for the smell of fear. End of YouTube – Since its inception, YouTube has been a contest to find the best video. Submission time has ended and now the judging begins for the next decade. YouTube is announcing the nominees for Best Video live. Google Apps with Levity Algorithm – Start enjoying work with Google Apps. Google Maps Treasure Mode – Search for buried treasure using Google maps. Google Japan has a one-key input device – Like Google Tap from before but now from Japan as Patapata. Google Australia allows you to renovate your house on Street View – Google Schmick? Simple Complete House Makeover Internet Conversion Kit. Google Analytics includes International Space Station – On your map, the ISS will appear as a visitor to your site. Export options also include floppy disks, cd-rom, papyrus, carrier pigeon, telegram, fax, and telegraph. Google Fiber to the Pole – For when you’re out and about and need gigabit speeds. 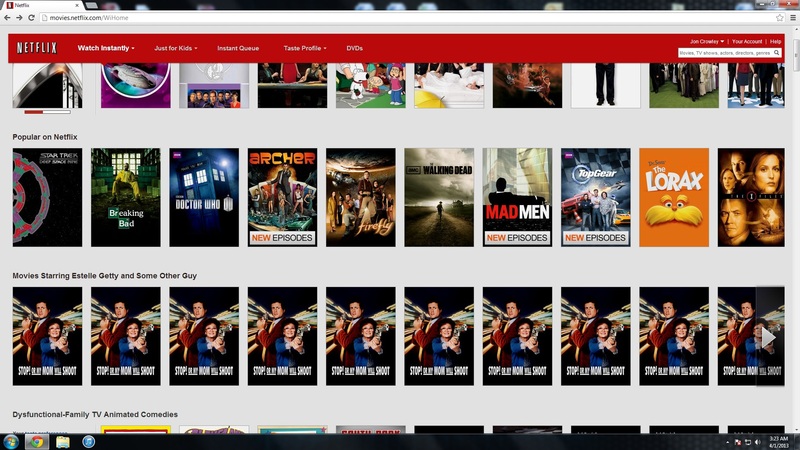 Netflix Random Categories – Netflix has given its customers random categories that are actually pretty funny. TV Shows Where Defiantly Crossed Arms Mean Business! Hulu announces new TV classics – You can now stream episode of TV shows inside of TV shows like Itchy & Scratchy (The Simpsons), Inspector Spacetime (Community), and others. Dyn Launches Intergalactic Data Center – Dyn launched its 18th POP to handle intergalactic DNS requests. Dyn creates email rhythm – Based on headers in your email, your sending speed and volume, your email will make music after a month of data collecting. Cooking Comically becomes family friendly – The stick figure is replace with Rob Boss, a Bob Ross knock-off. Sprint Specs – Make eye contact while checking your smartphone. Microsoft Do-Not-Track Suit – Wearing this, you are no longer tracked in real life. Bing cracked a smile – Bing’s search photos relaxed a bit today. Malwarebytes hit by targeted attack – They apologize at the end for being so serious. Skype to Space – Talk with the final frontier. Swiftkey Tilt – Type on your Android device by tilting the phone and make it a whole body experience. ASUS appliances – ASUS brand fridge, microwave, and washer. Electronic Frontier Foundation – They have some unbelievable announcements. Neustar analytics with ‘cats’ – Cats power the Internet and make the world go round. Pineapple Express 2 – An official trailer to an unofficial movie from Sony Pictures. StarCraft II – Warhound is back. 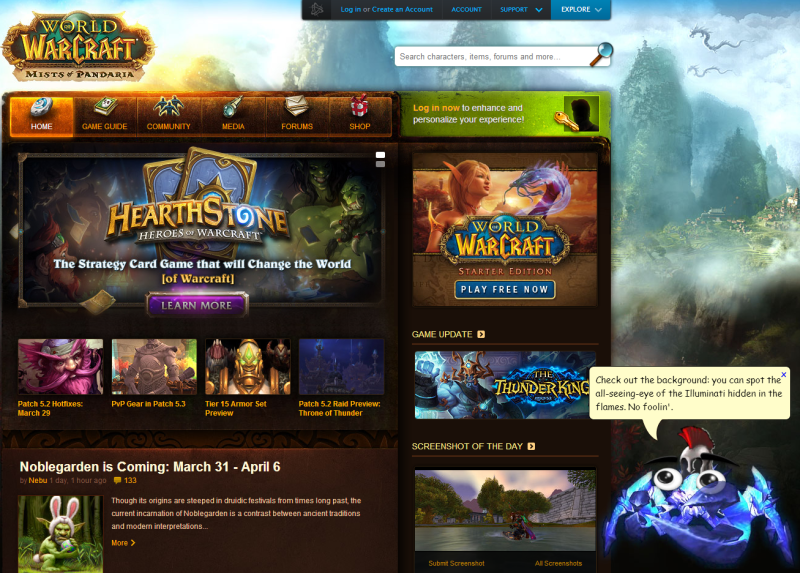 World of Warcraft Clippy – This ghostcrawler wants to help just like Microsoft Office Clippy! Twttr – For $5/month, Twitter will cut out your vowels and allow you to say a lot more in those 140 characters. Nokia launches microwave oven – What is with these firms wanting to be in the appliance business? Kindle Zero – Teaser announcement by Seth Godin, not Amazon. Wolfram Alpha uses handwriting – To personalize the data, graphs and answers will now use handwriting. ThinkGeek Batman Family car decals – Two gravestones and one sad Batman! 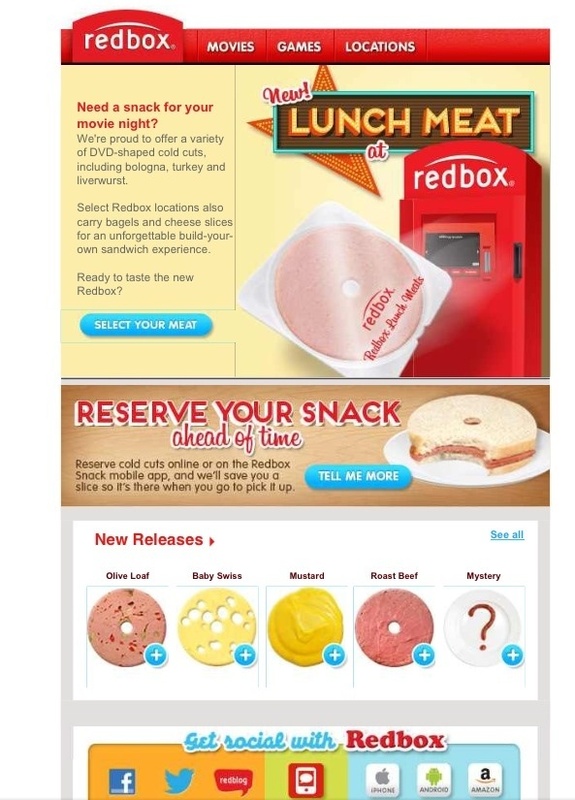 Redbox Breadbox – You could make sandwiches with Redbox snack reservations. Gunnar Contact Lenses – Gunnars Optiks now as contact lenses. If you want to prank a Google Chrome user, you can customize their default CSS to flip all webpages upside down or blur them randomly, and other effects.